Hey Electronic Arts and EA Sports, want some unsolicited advice? Don’t worry — this isn’t about your use (or lack thereof) of the Star Wars license, nor a screed about microtransactions in game. No, this is something much simpler. Make NHL’s most beloved mascot, crown-jewel, and breakaway success–Gritty–the cover star of NHL 20. And you should make it happen before Gritty demands it. For anyone who has been hiding under a rock or doesn’t use social media, you may be wondering “what the hell is Gritty?” Hell, even if you are deeply entrenched in Gritty lore you may be wondering that same question. And I don’t think I’m able to provide a concrete answer…though perhaps I can give an origin story. No one can say definitively what exactly Gritty is. A hockey demon come to life? A crazy-eyed Muppet reject who has turned to professional sports? Or perhaps the real creature in the latest Sonic the Hedgehog movie promotional footage. Either way, the creature is immediately off-putting…yet, instantly memorable. Despite all odds, Gritty was a genius marketing move for the Flyers. Suddenly everyone, regardless of team affiliation, wanted a piece of Gritty. Political organizations demanded him as a mascot for their cause. Copycats, communities, merch, and a lore surrounded the abrasive orange beast. And we loved it. Here’s the thing — I’m in no way a hockey superfan. I root for the home team, whether it be my home state of New Jersey (go Devils!) or the Nashville Predators (finger fangs). Even worse, I recognize Philadelphia as a city that only has sub-par lunchmeat sandwiches and a broken bell to distinguish it from the superior New York City. But there is something magical about Gritty. Something that needs to be shared with the world. And, more importantly to you, something that will help propel the NHL gaming brand. Taking a step back from Gritty–a thing that everyone should do in all circumstances and encounters with real-life Kaiju–there is legitimate business sense to why this is a common sense move for EA and the NHL 20 brand to feature Gritty as the cover athlete this year. First off, there is a bunch of novelty for offering Gritty the spot on the annual sports game’s cover. On one hand, any inclusion of Gritty would be sheer novelty–he has social media clout and brand recognition that outpaces some of the NHL’s best stars like Joe Pavelski, Jonathan Toews, or Carey Price. Gritty, in comparison, offers a recognizable face for newcomers of the series to jump in with. It’s generally a wise business decision to go with a move that will capture new audiences. Apart from Gritty in himself being a novelty, so would putting a mascot as the cover “athlete” on a major label sports game. The competitive spot–which often comes with an associated curse–is famously reserved for the top-billing player of the game for each particular year. And (with the exception of legacy players and the occasional John Madden), this is the repetitive sequence for every. Single. Sports. Title. Meanwhile, NHL 20 and EA Sports has the opportunity to disrupt that pattern and do something entirely different. Something that will grab headlines from gaming outlets, sports journalists, and general media. Gritty is the ultimate hype man, and you have the potential to tap into his wealth of unlimited power. Will you ruffle the feathers of the couple top players of the 2018-19 season? Sure. But they have the chance to grab the cover next year. 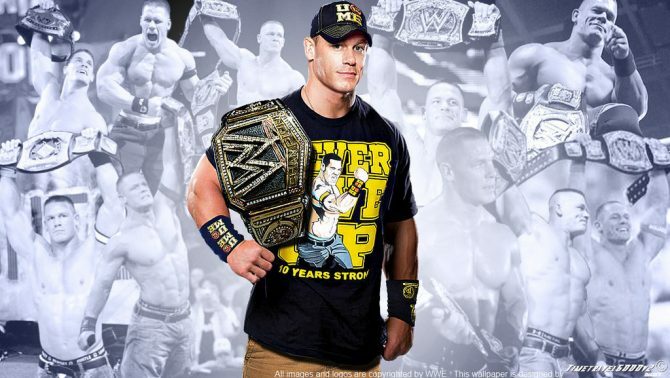 So perhaps it is unfair to say that he is not an athlete. 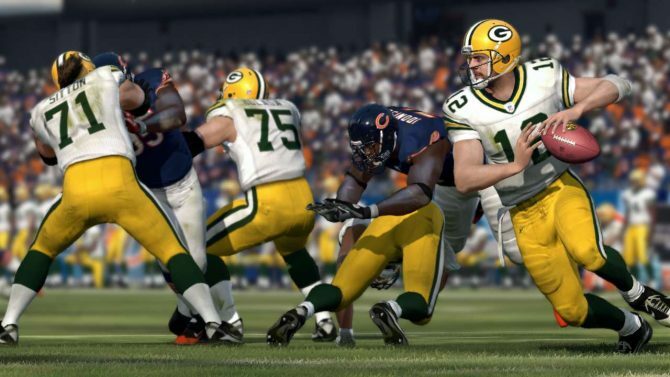 Even better, both EA and the players can rest at ease about a potential cover curse. Lest we remember how NBA 2K18‘s cover lost all significance once Kyrie Irving was traded to the Boston Celtics…despite him wearing a Cleveland Cavaliers jersey on the box of the game from the very same year. Awkward. 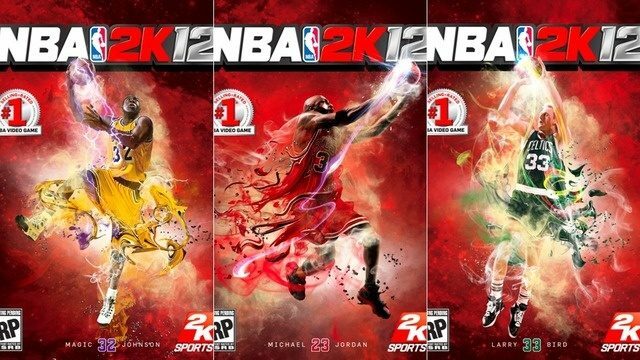 Even worse, this created a production and financial strain on EA Sports, who then had to re-shoot and re-issue a new cover due to the trade. I have made an important discovery. THERE ARE AT LEAST TWO GRITTIES! Thankfully, we have more than enough time to turn this movement–nay, demand–into a real thing. Electronic Arts and EA Sports normally debuts NHL‘s next cover athlete around June. They are likely beginning talks and photoshoots, if they haven’t already. In other words, we have five months to convince them that Gritty is their best bet for NHL 20. So Electronic Arts and talking heads of EA Sports, consider this a call to action from the DualShockers team. Do the right thing. 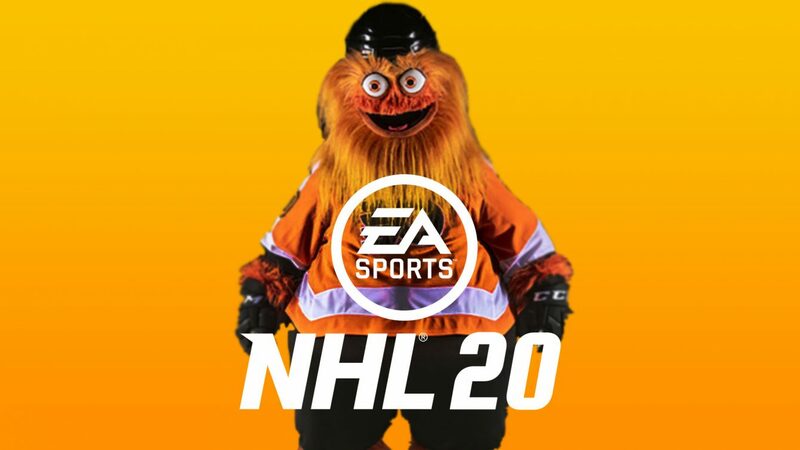 Make Gritty the cover star of NHL 20. And may God have mercy on our souls. Special thanks to Robin Martin for evangelizing me into the Gritty fandom and background research. 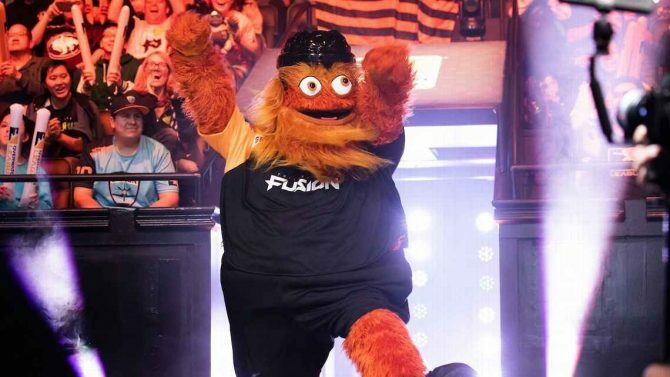 The Internet's favorite Mascot, Gritty, made his debut at the Overwatch League to rally fans' support for the Philadelphia Fusion.